Jul - 14 | By: Oregon Film | no comments. As Television aficionados know, nominations for the 2011 Primetime Emmy Awards were announced this morning and amongst the nominees were several Oregon based filmmakers and companies! HBO’s acclaimed mini-series “Mildred Pierce” was the most recognized program with 21 nominations, including Outstanding Miniseries or Movie, Outstanding Writing for a Miniseries, Movie Or A Dramatic Special for Todd Haynes and Jon Raymond – both Oregon based writers/filmmakers – and Outstanding Directing for a Miniseries, Movie Or A Dramatic Special for Todd Haynes. Portland advertising agency Wieden+Kennedy also received two nominations for Outstanding Commercial for Chrysler 200’s “Born of Fire” ad and “Questions” for Old Spice Body Wash.
It’s great to see Oregon’s indigenous talent pool being recognized at the height of the industry. 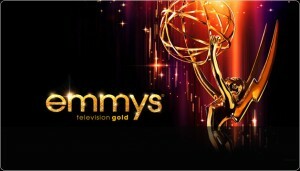 Support “Mildred Pierce” and Wieden+Kennedy by tuning into the live Emmy telecast on September 18th. The entire list of nominees can be viewed here.